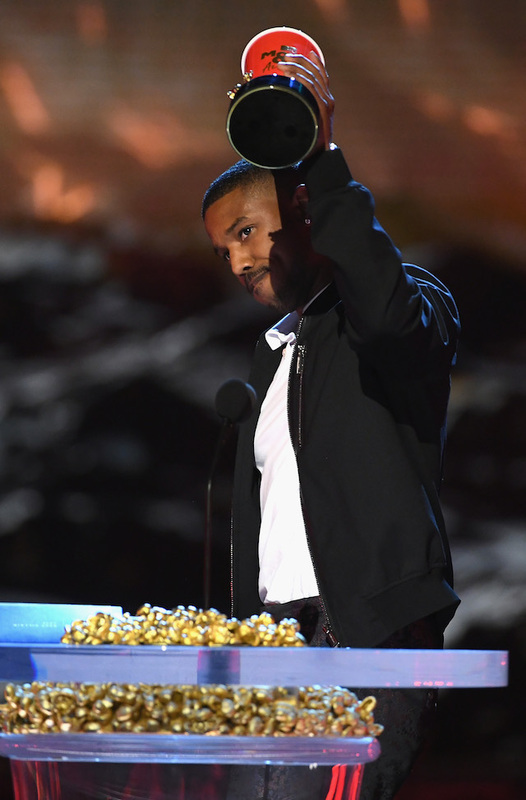 Michael B. Jordan took a swipe at Roseanne Barr Monday night during the 2018 MTV Movie and TV Awards for the Best Villain award. Jordan played the villain Erik Killmonger in the Marvel Studios’ hit opposite Chadwick Boseman, aka Black Panther, who took home the Best Hero award. Earlier in the show, actress Olivia Munn introduced the Best Hero award nominees by recognizing who she called the real heroes like teachers, first responders and “that guy who canceled ‘Roseanne,'” according to Variety.